It&apos;s finally here! The end of winter and beginning of spring is the time to thaw out and have some fun. Check out our list below of some of the best things Chesapeake has going on this month that you won&apos;t want to miss. If you&apos;re an angler, you can&apos;t pass on Chesapeake&apos;s 9th Annual Fishing Flea Market. Admission is only $3 and you can peruse an unparalleled selection of great gear. New and used rods and reels, fresh and saltwater gear, custom made lures, and even boats and trailers are available at limited-time prices. There will also be raffles and refreshments making this event the perfect way warm up to fishing season. Wine, liquor and beer? Oh my. The Chesapeake Soiree is the newest event put on by the Chesapeake Rotary Club. On the night of the Soiree, the Chesapeake Conference Center will be transformed into a whole new world, with themed sets including an ice palace, Caribbean island, barrel room, beer garden, and vineyard. Each "exotic locale" will have unique spirits to sample in between all the music and dancing. Check out ticket info here. Bring the kids to Chesapeake City Park for a whole bunch of Easter excitement. There will be pony rides, face painting, inflatables, and more! 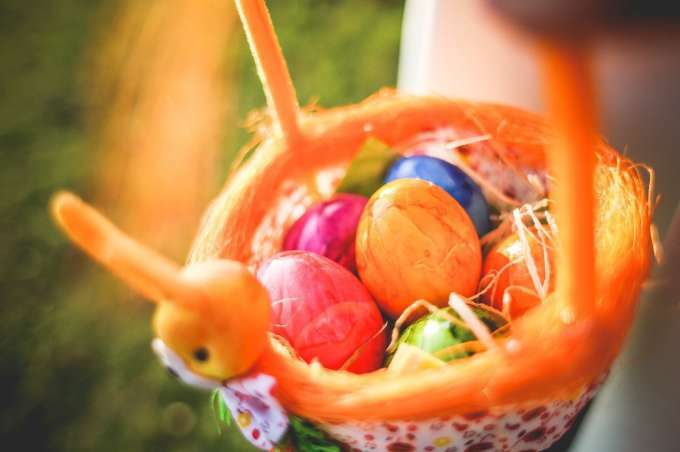 Bring a camera and the little ones can get a picture with Peter Cottontail before going out on one of the two scheduled Easter Egg hunts. Click here for more information. Wrap up the month with the Chesapeake Shrine Club&apos;s 41st annual Oyster Roast. Raw, roasted or fried - however you like your oysters, they&apos;ve got ‘em. Not to mention all the fixings you need to get your fill at an oyster roast that only Chesapeake can put on. This March is the time to get out and enjoy everything Chesapeake has to offer. Let the moments begin.